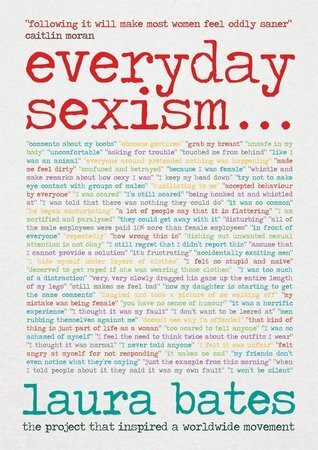 Everyday Sexism – Laura Bates. “Women are standing up and #shoutingback. In a culture that’s driven by social media, for the first time women are using this online space (@EverydaySexism www.everydaysexism.com) to come together, share their stories and encourage a new generation to recognise the problems that women face. This book is a call to arms in a new wave of feminism and it proves sexism is endemic – socially, politically and economically. But women won’t stand for it. The Everyday Sexism Project is grounded in reality; packed with substance, validity and integrity it shows that women will no longer tolerate a society that ignores the dangers and endless effects of sexism. After hearing about Bates’ project on twitter, I knew I had to pick this up. This book proves that 100% yes we do. Bates includes so many tweets and messages she has received throughout the project. She also tackles a range of topics from celebrity culture to politics to pregnancy to just walking down the street. This book doesn’t just talk about women’s struggles she includes sexism that men are affected by too. And from all ages! Frankly I think, especially in 2014, attitudes need to change. I gave this book 5 stars because this absolutely captured me. The feelings of shock and fear often happened to me while reading this book. Things may seem bad or not even bad at all but they are. Just read some of these people’s accounts in this book. I highly, highly recommend this book for everyone. Previous Previous post: Happy Birthday Samantha Barks!! Next Next post: PART CHECKING IN PART FRIDAY READS!!! 3/10/14.